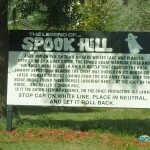 Spook Hill is a gravity hill (an optical illusion where cars appear to roll up the spooky hill) in Lake Wales, Florida. 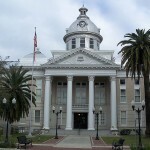 Spook Hill is located on the Lake Wales Ridge, a geologically significant range of sand and limestone hills, which were islands from two to three million years ago, when sea levels were much higher than at present. Many species of plants and animals evolved in isolation and are endemic to the Ridge. Most are threatened or endangered by possible extinction. 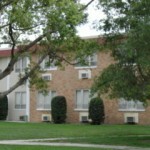 The attraction is adjacent to Spook Hill Elementary School that adopted Casper The Friendly Ghost as their school mascot. 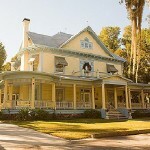 The attraction is also in close proximity to Bok Tower. Spook Hill received national media attention when an article about it appeared on the front page of the Wall Street Journal on October 25, 1990, and it was featured in a segment on CBS Morning News with Charles Osgood on November 5, 1990. Stop your car on the white line painted in the middle of the road and put it into neutral. It will roll backwards, even though it looks like it should go the other way. I’ve wanted to get any paranormal experience, but spook hill it’s just put the car in neutral and have your car go back. Until you see children next to you in blood.